A recent report in The Economic Times suggests that the income tax department has secured at least 17 “voluntary disclosures” from around 700 Indians who are alleged to have had secret accounts with the HSBC Bank in Switzerland. If this report is right, it reveals two things regarding this government — its duplicity and lies pertaining to the data and also its audaciousness in treating illegal money abroad as simply a revised income tax return issue. First, the duplicity. The government has always maintained that since this data has been obtained under double taxation treaties, the names cannot be revealed. Now it says since it is stolen data it is not possible to verify with the banks. Stolen data does not come under any double tax treaty. More important is the fact that the government is trying to treat the whole issue as a minor issue and ask the criminals to file revised returns. It is like administering a slap on the wrist for murder. The government is also claiming that the names will be released once the prosecution starts. But the newspaper report suggests that the government is trying its best to settle all issues by collecting some tax since prosecution can be painful and expensive. It also suggests that the government does not have manpower. When the floodgates open and hundreds of thousands of names get revealed will the government just keep quiet due to lack of manpower? One hopes the police and other departments do not follow this logic to wink at crimes due to lack of manpower. What are the real issues in these illegal funds abroad? There are at least four lists around: one is a stolen list from Liechtenstein Bank, which came to us via Germany; the second is from HSBC’s Swiss branch; the third and fourth ones pertain to many banks (mostly stolen) in Denmark and Finland. Of the names that have come out, three are sitting MPs, one each from Kerala, Uttar Pradesh and Haryana, and a leading business baron of Mumbai. The government, in a belated move, has refused to acknowledge the names. It is always suggested that one need not believe rumours unless these are denied by the government. There was another report in rediff.com which suggested that the names may contain many BJP leaders. This should be all the more reason for the government to reveal the names. It is important to recognise that illegal money kept abroad is not just an income tax issue. Such money could have been accumulated by overinvoicing imports and underinvoicing exports. Sometimes called trade mispricing, customs duty may also be involved. Plus the said sum might have evaded commercial tax/entertainment tax, in which case it is part of state government losses. In a federal structure like ours, the data should be immediately shared with state chief ministers. I am amazed that no chief minister, including those of the opposition parties, has made this demand. It is also possible that the money was accumulated through goods smuggling or by way of commissions in major projects or gun-running or drug financing or trafficking of women. Former National Security Advisor MK Narayanan had warned, as early as 2007, about terror funds getting into our banking system and stock markets. If the HSBC list relates to any of these activities, then just filing a revised return is totally inappropriate and inadequate. We can cite two recent examples of the lies of the government. The response of the government in the Supreme Court (in the Ram Jethmalani case) indicates that tax demands of Rs 71,848 crore have been raised against Hasan Ali Khan, his wife and other associates. If this is the tax demand, then the income on which this would have been raised could be more than Rs1,50,000 crore. This is a mind-boggling figure since our national income for the current year is of the order of Rs 60,00,000 crore. But something more interesting has been reported. The Swiss authorities told a news magazine that the Indian authorities had sent a request in January 2007 for legal assistance in the Hasan Ali Khan case but the documents were not valid. The Centre, in an affidavit to the Supreme Court, had detailed the action it had taken against Hasan Ali Khan, his wife Rheema and Kolkata-based businessman Kashi Nath Tapuria, who allegedly were holding about $8 billion in an UBS account in Switzerland. In a communication from Folco Galli, information chief of the Swiss Department of Justice and Police, Berne, the magazine, Hardnews, was informed that the Indian authorities had submitted “forged” documents to seek assistance. The whole issue is becoming curioser and curioser. On the list provided by the German authorities, the government maintains that it cannot reveal the names since it has been obtained under the double taxation treaty. But it says that it is proceeding against account holders under tax laws. 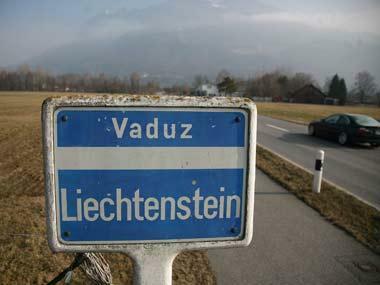 The question is: why did the government ask for information under the double tax treaty from Germany, when the names are from Liechtenstein? Moreover, where is the issue of confidentiality vis-a-vis criminals? Germany has released its own list and how will they now ask India not to release the list? The finance ministry says it has names but will not reveal them and the affidavit suggests that the petitioners should go through the Right to Information route. Of course, the RTI application will be thrown out. We have a story in Tamil — the beggar is refused food by the daughter-in-law and thrown out of the house. The mother-in-law sees him on the road and, on hearing what happened, gets furious and brings him back home and then tells him there’s no food, but “I am the one eligible to say that and not her”. These are not domestic tax evaders but international crooks that have deprived our land of huge amounts of resources by stashing capital away. What they have done is an unpatriotic act which can be equated to financial terrorism. Why keep their names a secret? Julian Assange, in an interview to an Indian television channel, has clearly indicated that Indians account for a large number of Swiss bank account holders. He also recollected that many banks entertain customers only with a minimum of Rs 5 crore in assets. In another interview the Swiss whistleblower, Ruedi Elmer, has indicated that the names of account holders include Bollywood icons and sportspersons. Obviously, no aam admi is going to find mention on all these lists. The government’s hesitation may be due to the fact that some of the accounts belong to powerful people in the ruling coalition. Since all the organs of law enforcement have been consistently emasculated and made emaciated, it is difficult to expect any punishment for the lot through the legal process. Naming them and bringing them to shame is a good way to handle them. It is a painful reality that we have reached a situation where it is perceived that all members of our elite are guilty until proved innocent. The reason is the low level of trust in our political masters and the judicial processes where the accused can prove their innocence by hiring the costliest lawyers. It is critical that the names are released so that the social media does not get into a guessing game and holds everyone suspect. It is also important that some major leaders take the initiative on the issue and provide an affidavit to the president of India suggesting that neither they nor their families hold any illegal funds abroad. Moreover, if the government finds any such funds, let it be confiscated. Such a voluntary declaration by senior leaders will have a dramatic impact. One senior official asked me whether releasing the names will have a cathartic effect on the middle class since many an icon will be revealed to have feet of clay. My response was civilisations do undergo such a catharsis once in a century. But it is required that our collective conscience is made clean and a fresh start in made. The illegal funds kept abroad by our fellow citizens are not just a tax issue. It is treason. It is an issue which is linked closely to our core civilisational values.